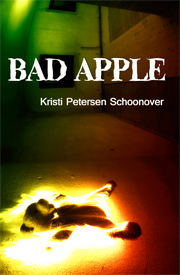 All of which brings us to Kristi Petersen Schoonover’s Bad Apple. The story is told from the point of view of a peculiar girl named Scarborough (Scree to those who know her), who grows up on an apple orchard in Maine. Raised by her mom and stepdad, she has a rather mundane, if not comfortable, childhood. That is until a tragedy comes about (one that is ostensibly young Scree’s fault), leaving her one parent short. Scree comes to long for something other than what she has known her whole life. 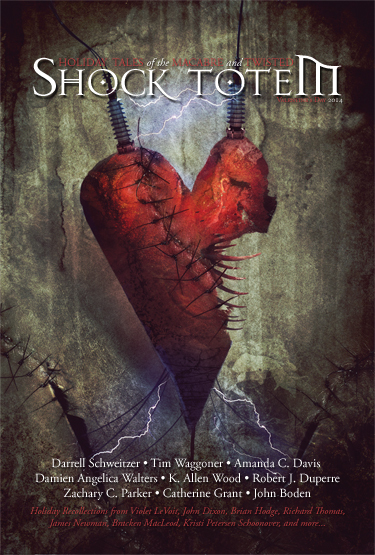 She feels trapped, and when her brother comes back, his girlfriend pregnant, Scree is dead set against that poor baby being confined in the same life she has been subjected to. The girl saves up her money working at a restaurant, steals the child, and then flees, ending up in an odd yet opulent resort. 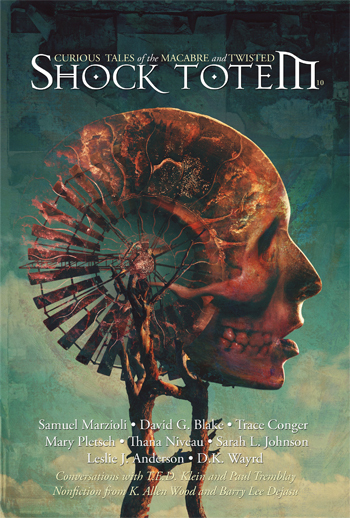 It is here that the bulk of the tale takes place, as Scree is haunted by strange visions while she tries to learn to be happy, to find love, and make peace with her guilt. This truly is a wonderful tale, completely feminine in the best of ways. Some might find the storytelling to be languid, or even meandering at times, but that’s only because Schoonover dives headlong into her character, letting the reader get to know Scree in an intimate way. We know her thoughts, her longings and fears, and since the story is told from her viewpoint, the clues as to what is actually happening are hidden in plain sight, beneath the miasma of Scree’s desires. As I said earlier, this is an insightful novel. It might not be an illustration of all women (or girls, as the case may be), but in the specific instance of Scree, Schoonover manages to create a sort of everywoman, one who’s believable despite the fantastic situation she finds herself in. She’s a female character that isn’t simply a reflection of the men around her, one that indeed longs for love and affection yet also strives to become powerful and independent, and it is that inner struggle that drives the book’s plot. And the author also does something quite strange for a work of fiction such as this: the settings, even the previously mentioned ritzy resort she finds herself in, are presented in an ordinary, almost dreary manner. It is the character’s interactions and viewpoints that matter, what she makes of the setting rather than what the setting actually is, that gives it depth. As you can plainly see, I adored this book…until the very end. At that point the author uses a writing convention that is tantamount to cheating in order to manipulate the reader’s view of the story being told. I hate to be vague about it, but to give away what happens in the very last section would be to give away the twist ending, which would be a shame. However, I was slightly disappointed when I came across this last bit, and felt it took a little of the power away from the tale. Which was a shame. That being said, it didn’t dishearten me enough to alter my view of what came before. I still feel Bad Apple is a powerful and enlightening tale, and in the end, I think the author was painted into a corner by just how personal a story it is. Tell the tale in third person, and my problems with the ending disappear…yet at the same time, the intimacy of the first-person narrative is lost. It’s a no-win situation at best. In closing, I give this book a hearty recommendation. There are worse sins an author can commit, such as telling a substandard story. And Bad Apple is certainly not that.